December is usually a slow month for car makers given that buyers tend to stay away from the market, preferring to make fresh purchases in the new year. 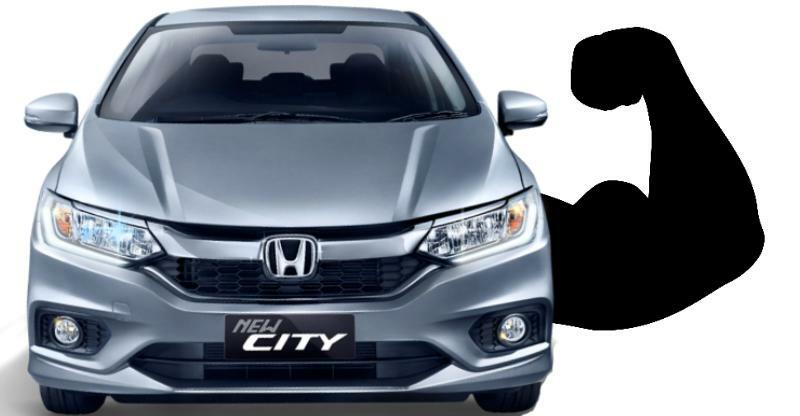 However, the Honda City performed very well in December 2017, outselling both the Maruti Ciaz and the Hyundai Verna by large volumes. Honda dispatched 4,365 units of the City in December 2017 while Maruti shipped 2382 units of the Ciaz, and Hyundai did only 1,953 units of the Verna. Clearly, the City has outsold both the Ciaz and Verna last month. Even considering the whole year figures, Honda sold 62,573 units of the City, with Maruti a close second with 61,967 units of the Ciaz, and Hyundai a distant third with just 25,904 units of the Verna sold. Since the all-new Verna was launched only in the second half of 2017, 2018 may bring better tidings for Hyundai in the C-Segment sedan space. While the Verna started off strongly in the first two months after launch, the third month has seen a steep dip in orders. It remains to be seen if the demand for the new Verna bounces back. Maruti is expected to give the Honda City a hard time in 2018, with the facelifted Ciaz coming in soon. The facelifted version could feature 1.5 liter turbocharged diesel and petrol engines, with significantly higher power and torque outputs than the current range of engines. This, along with a lower price tag that the Ciaz sports, could make the car more compelling to buy than the higher-priced Honda City. Hyundai is likely to add more price warriors to the new Verna line up by introducing smaller, 1.4 liter engines in petrol and diesel. Another interesting year is on the cards for the C-Segment sedan space. No major new launches are expected in this segment during 2018 apart from the refreshed Ciaz and smaller engined Verna variants.